Ukraine and its people are an ancient crop. It was influenced by many various historical, political, and cultural events. For long periods of time, Ukrainian lands were a part of different European countries, and up to the 17th century, the Ukrainian nation was brought up primarily on West European values. But after joining the Russian Empire, and then the Soviet Union, the Ukrainians lost their original character. Today, this ancient population is looking to rediscover its identity once again. Aligned closer with Europe, the Ukrainian-speaking west is trying to go back to its values, while, feeling nostalgic for the Soviet Union, the Russian-speaking east is still drawn towards Russia. However, despite of the obvious separateness, all residents without exception have several common traits. The main ones are the love of freedom, kindness, and hospitality. Ukrainians live in a society with clearly distinguished gender roles: family and kindred relationships have great value here. Ukrainians are emotional and sensitive - from here stems their amiable nature, absence of aggressiveness, and tendency to smooth out any conflicts. Ukrainians are also extremely cheerful people with an extraordinary sense of humor. The territory of modern Ukraine has been populated with representatives of different ethnic groups and nations over the centuries. Thus today, the main characteristic of its population is its diversity. 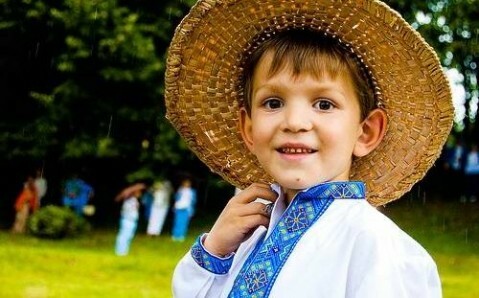 People of over a hundred nationalities and ethnicities live in Ukraine. The majority of the population is, naturally, Ukrainian - 78%. They are followed by Russians (17%), who live mainly in northeast and south of the country. Among other ethnic groups, the largest are considered to be Belarusians, Bulgarians, Moldavians, Hungarians, Rumanians, Poles, Jews, and Crimean Tatars. The majority of the population speaks the Ukrainian and Russian languages. Some Ukrainians even call Russian their native language. 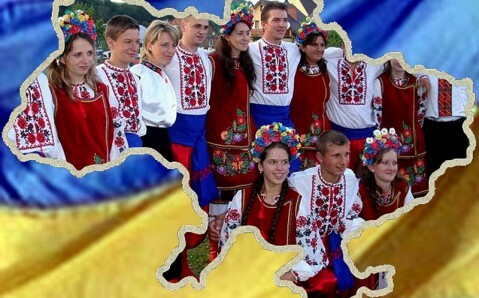 Ukraine is a religious nation, and according to polls, the fifth most devout country in Europe. Over 71% of the citizens admit that they believe in God. The strongest religious traditions are in the western regions. Nevertheless, the number of believers has been growing in the east of the country, as well. This spirituality is connected, foremost, with a low standard of living and constantly diminishing level of confidence in the government. Today, as in previous centuries, religion is a sort of support for the Ukrainians and acts to unify the nation. The most widespread religion in Ukraine is Christianity. The majority of believers (76%) are Orthodox, but Catholics also make up 14% of the population. There are also followers of Lutheranism, Judaism, Islam, and Buddhism among the believers. Moreover, some Ukrainians call themselves religious, but, at the same time, do not reckon they belong to any religion. Ukrainians are somewhat reserved. During the times when Ukrainian lands were part of different states, this trait of the national character of the people served as sort of protective mechanism for the retention of their identity. Nowadays, the majority of Ukrainians are good-tempered and open, and get along with people quickly. Sometimes, even too quickly: some may call yesterday's stranger their best friend after the second encounter! Ukrainians are individualists. There is a grain of truth in this. However, the so-called individualism is nothing but self-esteem, which is particularly developed among the representatives of this Slavic nation, due to its tough past. Ukrainians are often indifferent. A popular saying in Ukraine, ‘this is not my headache,’ creates this belief. In most cases the external indifference is just unwillingness to interfere in the life of another person. Nevertheless, if they can give a helping hand, Ukrainians never deny assistance. Ukrainians drink a lot. Holidays are really very appreciated in the Ukrainian society. Each of them is accompanied with lavish feasts, which, of course, cannot go without alcohol. At the same time, Ukrainians’ tolerance to alcohol is higher among Ukrainians than most Europeans. This creates the impression that Ukrainians are excessive imbibers. In fact, Ukrainians drink no more than their Russian or Czech brethren. Ukrainians do not know English. In fact, the majority of the population knows (more or less) this language, since it is a required subject at school and at the university. However, due to the lack of practice, Ukrainians are just shy of talking to foreigners. There is a bigger chance of meeting those who know English in the big cities - Kyiv, Lviv, Odesa, - and among the youth. Ukrainian women are the most beautiful in the world. Ukrainian women really do differ from the women of other nations. However, it is mostly due to their natural femininity and attention that they pay to their appearance, than to special natural qualities. The Ukrainian women carefully choose their clothes, rarely go out without makeup, and often sacrifice comfort for beauty, purposefully strolling around on high heels. Ukrainians are superstitious. This is true. You will often see a person in Ukraine who refuses to sit down at the table if he or she is the thirteenth person; who looks in the mirror after returning to the house to pick up something that he or she has forgotten; or, who goes out of his way to avoid the street crossed by a black cat. Of course, you have to visit Ukraine and enjoy the full scale of Ukrainian hospitality, in order to construct an informed opinion about Ukrainians. And it is no wonder that the majority of tourists who have visited Ukraine admit that its residents - good-tempered, open, and cheerful – occupy some of the brightest memories about the country!